Localisation. . . Localisation. . . Localisation. . . Sur le lac Michigan / Little Traverse Bay. À quelques pas de l'eau, plage de sable, parc, marina, jetée, piste cyclable, Bear Creek et le charmant village de Petoskey. Courte distance en voiture ou à vélo à Charlevoix et Harbor Springs, à 2 miles au Casino Odawa et à proximité de sports d'hiver. This is our regular spot for a fall retreat. It is a delightful location and the property is top tier. The owners are easy to deal with and very helpful. We were a bit late this year, but discovered places around Petoskey and Harbor Springs that still sported some glorious color. My wife and I look forward to being a bit earlier next year. Very convenient to downtown ,bike trails and waterfront. We did not use our car for the 3 days we were there. Clean, updated throughout, great owners, beautiful view. Bike trail right below, VERY short walk to town. Would highly recommend and can’t wait to come back!! Thank you! Have stayed here a few times. First class location & condition. Nothing missing. Look forward to my next visit. 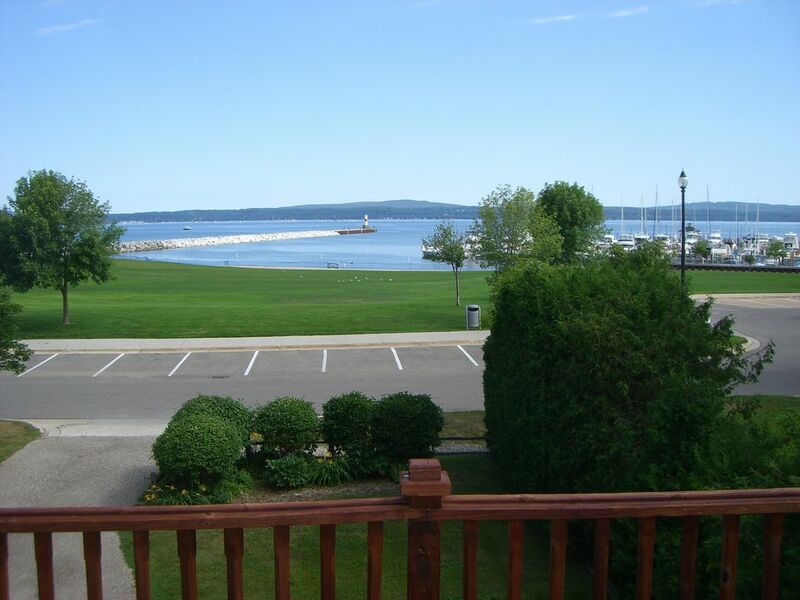 Again a super place to be in Petoskey. First Class. Summer rentals Saturday to Saturday. Cancellation Policy - Cancellations received and confirmed 60 days prior to check-in receive a 100% refund of deposit less 4% transaction fee or actual amount if greater. Note: we are not responsible for refunding service/processing fees paid to the booking site/agent if applicable.